I know it was April 1st the other day but this is not such a good joke. I got this kit in the post the other day from my friend Ken. He is great friends with Czechmaster resin and has got me (another!) 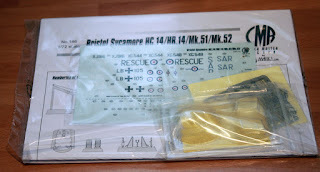 free kit. Oh boy, can he pick them. 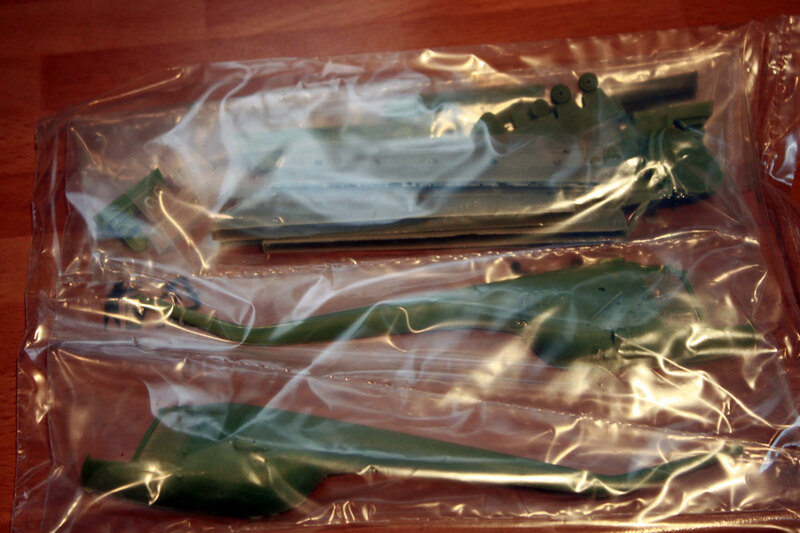 This is the pack with the instructions, decals and canopies - yes - gulp - that is a set of vacform canopies. Oh hell, here we go again. The actual model doesn't look at all bad - in fact the mouldings are absolutely first class. 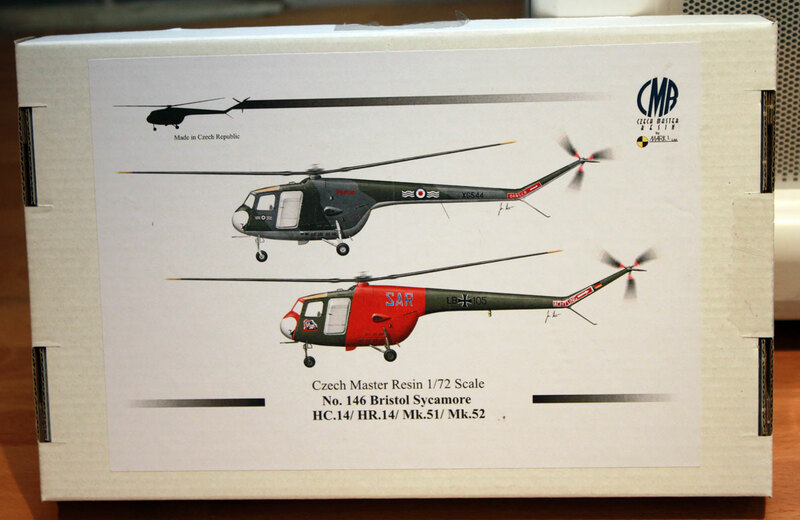 I am a bit worried about the strength of the rotor blades but I will just have to be very careful. 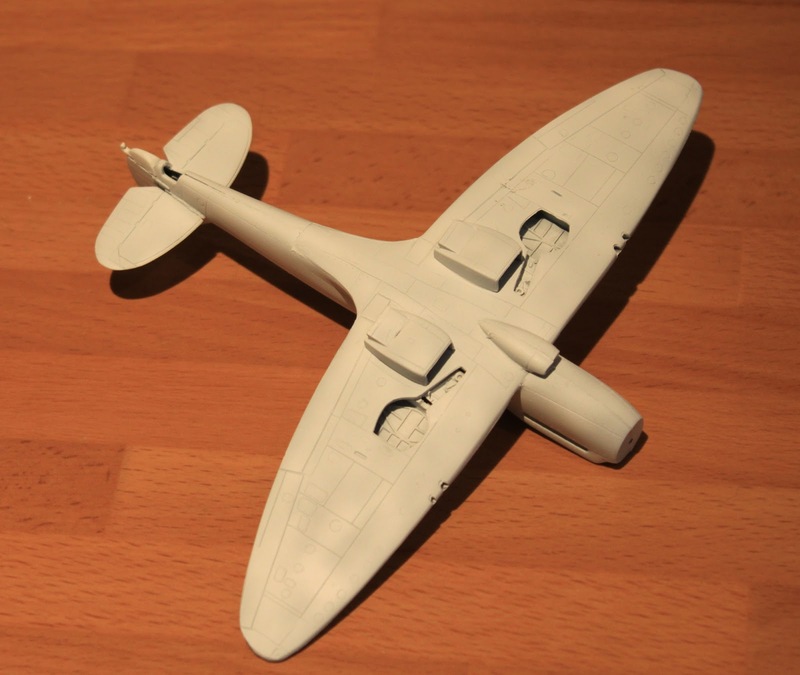 Here are some photos of the current state of play with the Gannet AEW3 and the Seafire 45. There has been a lot of heartache in getting the two colours on with a decent demarcation. I haven't enjoyed this bit at all. 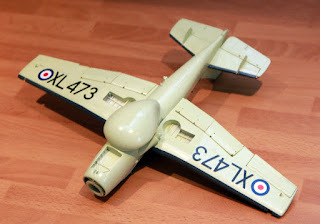 I am now decalling up both aircraft and then will get the undercarriage etc. on to them. 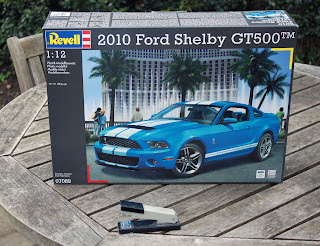 Remember the Revell Shelby Mustang that I made for Dan - well that was in 1/24th. 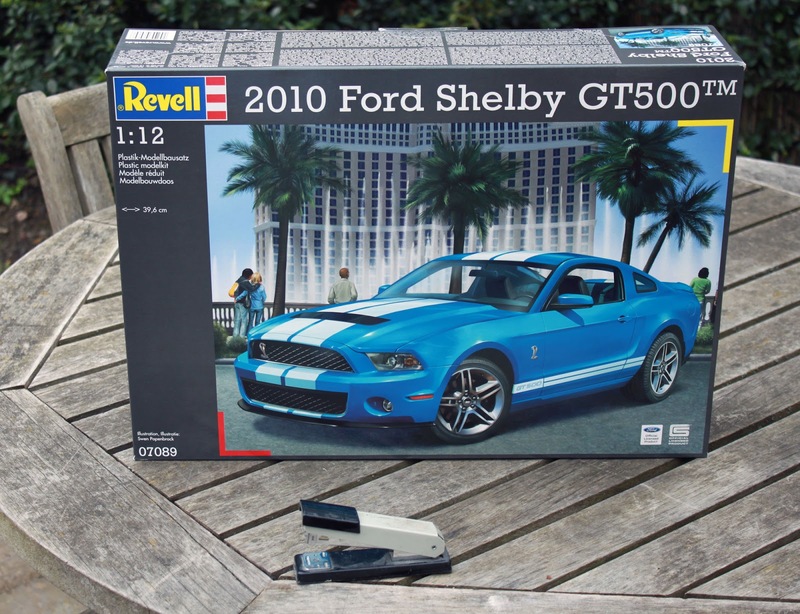 There was a new kit released from Revell this week - the same car but in 1/12th - Yup - 1/12th. That makes it twice as big in every direction. This was a must have as soon as I saw it. I am on holiday for the next week so I can see this becoming a fun time. Tonight, the chrome gets stripped off and it all starts off. I can't wait. This is the next Seafire - well actually in date order - the earlier one. 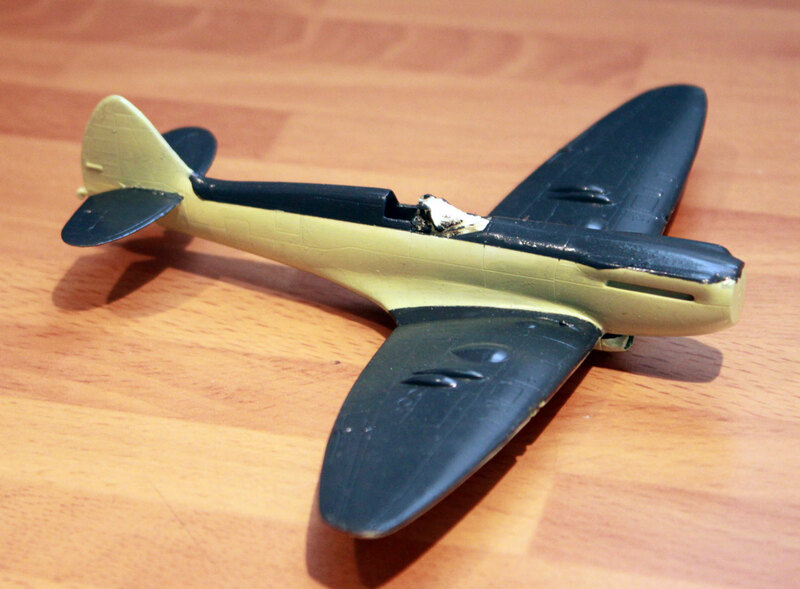 This is a Seafire F.45. 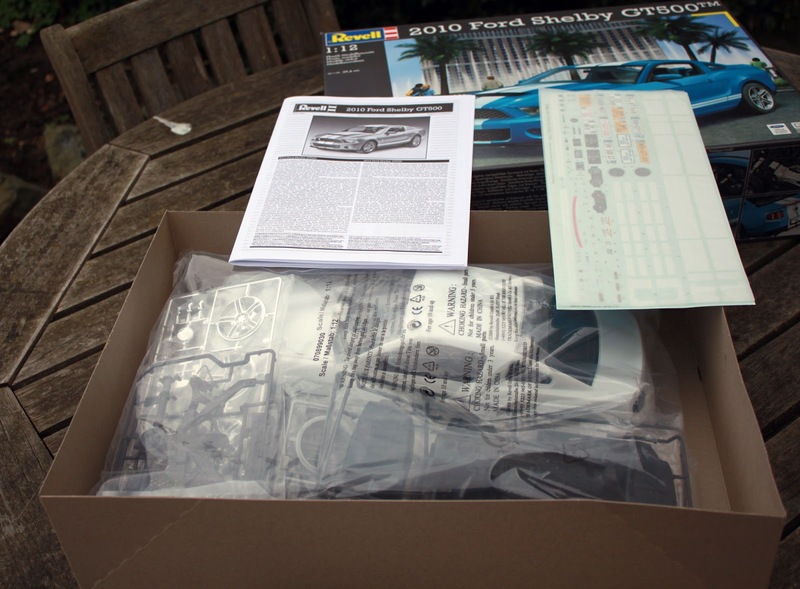 It is as much fun to build as the previous one - in the sense that it needs a good bit of work but responds well to the effort. 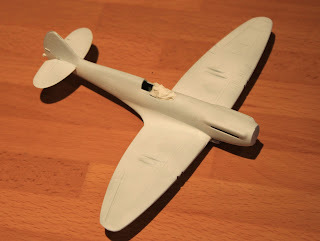 Here it is in white primer - first coat to find out where the filler needs to be improved. 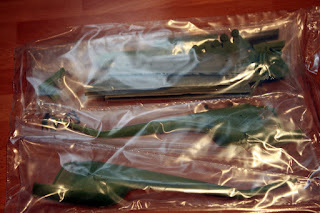 The tail planes are resin so I was a bit lucky to get them on straight as I had to use super glue. 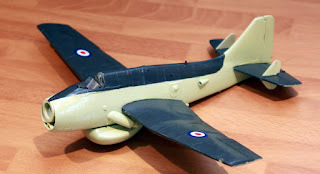 The bottom of the fin had to be cut off and a resin base fitted (with a hook included). 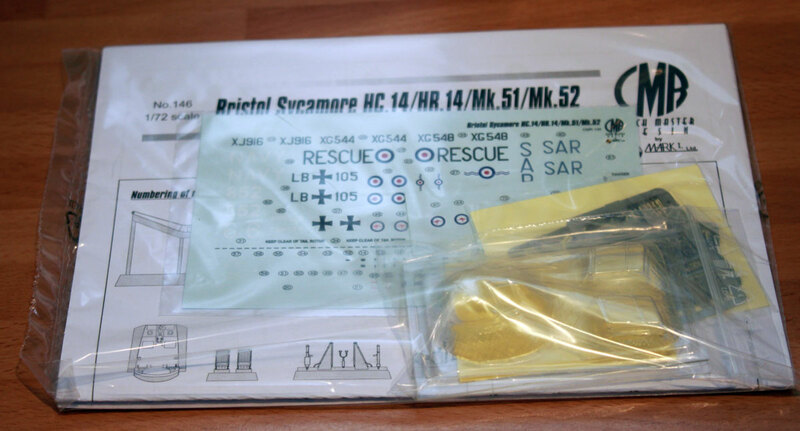 The kit itself is for a Spitfire so you get a new fuselage and a few resin bits to convert it. It all works out quite well.